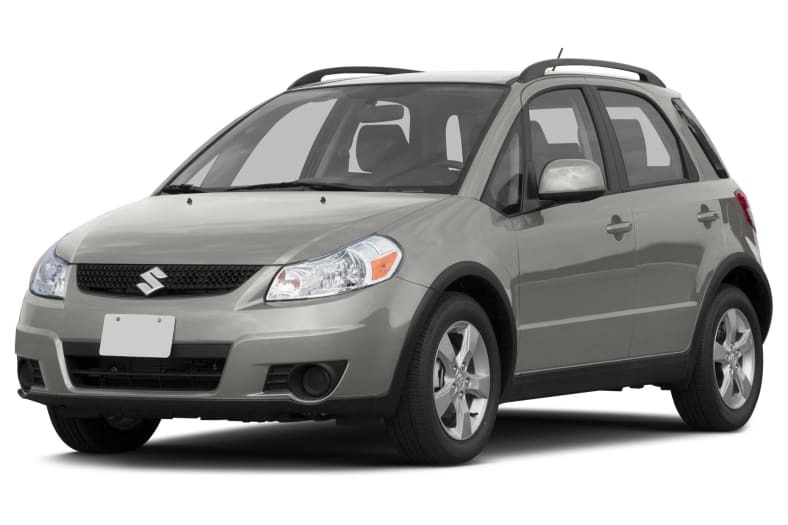 The Suzuki SX4 is a small five-door crossover or four-door sedan. Sporty and versatile the SX4 has attractive looks and great value. The crossover/sportback is available in Base, Premium, and Tech Valu Pkg trims in front-wheel or Intelligent All-Wheel-Drive (I-AWD). The sedan is available with front-wheel drive and comes in LE, LE Popular, and Sport SE trims. The SX4 is powered by a 150-hp 2.0-liter all-aluminum four-cylinder engine matched with a six-speed manual transmission. A continuously variable transmission (CVT) is optional. Standard features include front, rear, side-impact and side-curtain airbags. Electronic Stability and traction control programs are standard equipment. Sport SE and Tech Valu models include a navigation system. Also available is Bluetooth, automatic climate control, sport pedals, and heated outside mirrors. Sedan models come with 17-inch alloy wheels and upgraded shocks. The 2013 Suzuki SX4 carries over from 2012.